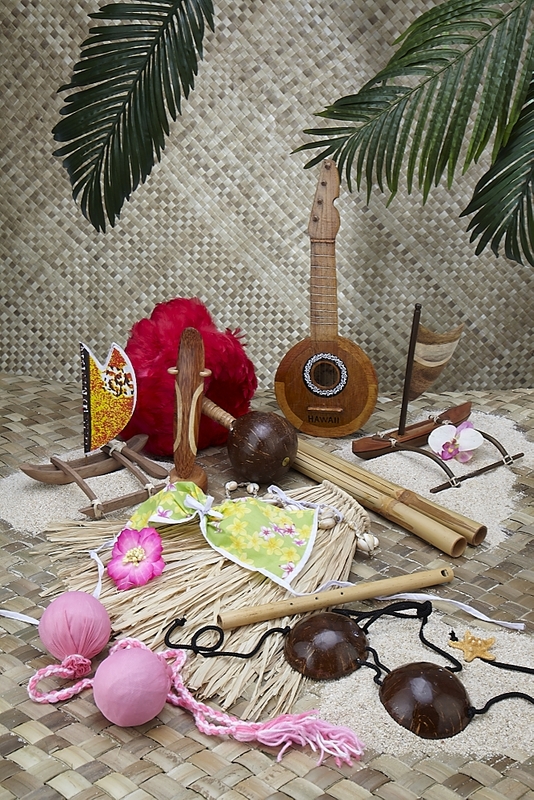 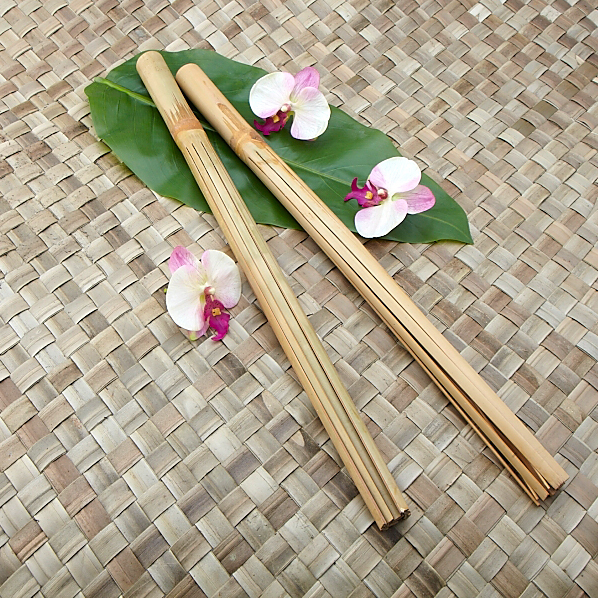 Puili Bamboo Dance Sticks are a traditional hula dance implement, sold in pairs. Mostly used in the sitting and/or standing position, and struck together. 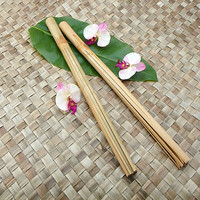 Pu'ili sticks are hand carved in eight upright and firm bamboo strands, a continuous stick with a uniform handle at the bottom. 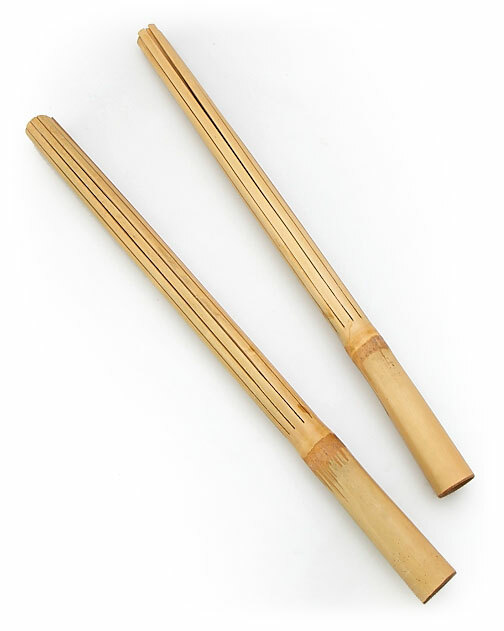 Measures up to 21 inches long.